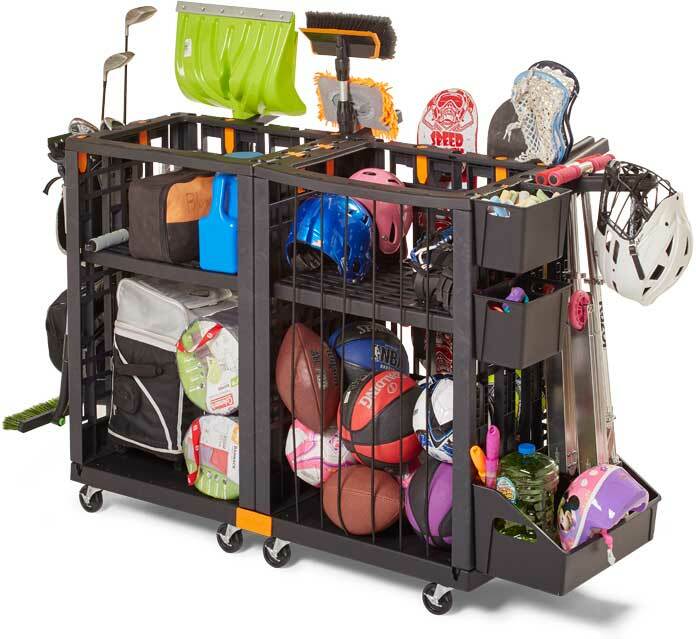 Customizable: The Lock & Roll Organizer offers multiple attachments, shelves that fit at different heights, and bungee system to help you store anything you need. You can also lock as many Lock & Roll Organizers together to scale your system to your needs. Easy to Assemble: The Lock & Roll Organizer doesn’t require tools to build, making it easy to build and interchange parts to create the perfect storage system for you! Light & Mobile: The system comes on lockable wheels so you can easily move it where you need it and then lock it into place. Durable: The system is designed to withstand all four seasons and any location. It is also easy to clean! Build Your Own: We offer the Lock & Roll with four or six attachments as the base of your storage system. You can then buy as many attachments as you need to make your system right for you! What is the Lock & Roll system? 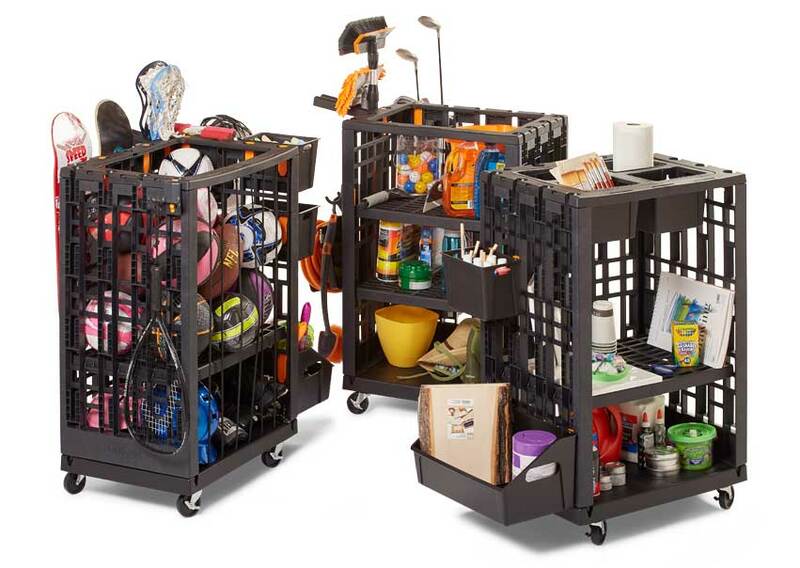 Lock & Roll is an easy to assemble, use and clean storage system that is perfect for any room that needs added storage. It is designed to be completely customizable so you can organize and store anything! It is also mobile, compact, and durable so you can easily move your system without worrying about damaging it. Build The Perfect Storage System! Lock & Roll Organizer™ products are warranted against defects in original workmanship and materials for one year from the original purchase date. If any item fails, return the item with proof of purchase to Tailor Made Products, Inc. at 101 Juneau Street, Elroy, WI 53929. We will, at our discretion, refund the full purchase price or replace the affected item at no charge. This warranty does not cover any damages or defects caused by misuse, abuse or failure to use the item properly.